Our vape batteries are one area where we can show off our technological powers to the world. At VaporFi, we’re confident that we can give you reliability, performance, safety, and flexibility in one tidy little package. We know what our fans want, and our line of batteries consistently delivers. As with our other components, we’re proud to offer an industry-leading level of customization. Your vape mod or vape pen should be an individual experience, and your battery choice is no exception. Control your power, set voltage, and select from a range of finishes, including high drain 18650 batteries. If value is your priority, we’ve got your back. No matter your technology needs, VaporFi makes a battery for you. Nobody wants to deal with the disappointment of going to fire up their vape device, encountering a completely dead battery, and realizing that they don’t have any extras on hand. By the time you’ve stopped into your local vape shop or ordered them online, you will have been waiting far too long for the satisfaction of a good vape. Prepare ahead of time and avoid potential headaches by stocking up on vape batteries today. 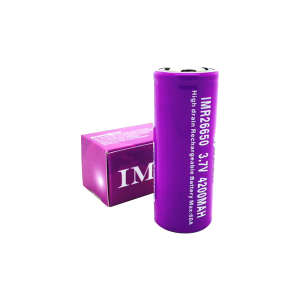 When you purchase batteries for your vape mods, it is important to consider quality. Buying rewrapped or knock-off batteries can endanger the health of your device and even pose a possible safety issue. And, at the very least, cheaply-made batteries are more likely to burn out at a far faster rate. 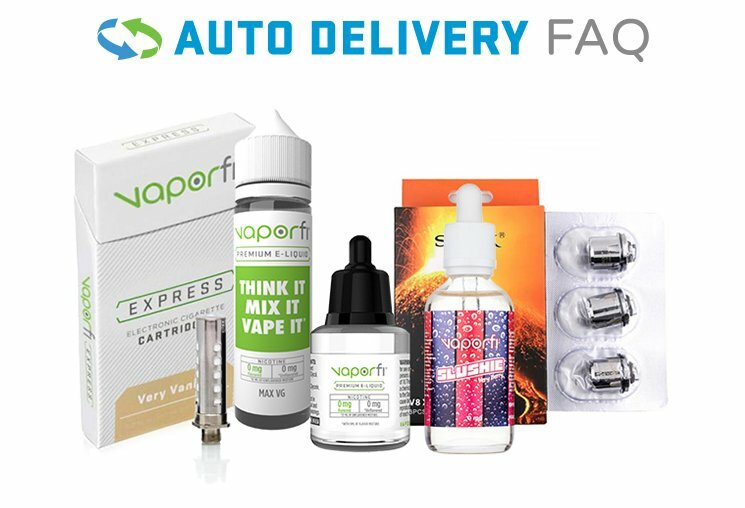 Avoid battery duds and stick with VaporFi – a reputable company that is committed to producing and selling only top-quality vape batteries. Choose from customer favorites like the VaporFi Pro 3, Rebel 3, Rocket 3, Air, or Express Battery. Look closely at your specific mod to determine if it is regulated or unregulated (mechanical). These two different types of mods are designed for a certain level of vaper and generally have specific battery needs. Review battery types and choose the correct type that is compatible with your device and vaping preferences. If you are a sub-ohm vaper, look for something with a high-drain to provide you with a high current/Amp. If you use a mechanical mod, especially a larger one, you need a vape battery that is built to issue a serious current. When you need to choose a good vape mod battery, conduct a little online research and read customer reviews. Often, fellow vapers can be one of your best resources for finding an awesome product, especially because you all speak the same language and are all working toward creating your best vape experience. Customer reviews might also reference pros and cons of certain batteries that aren’t necessarily mentioned by the manufacturer. Finally, don’t hesitate to ask a vape shop employee for some help. At VaporFi, our experienced team of professionals is always happy to offer some more advice on how to choose the best vape batteries. If you like the idea of extending the life of your battery, the good news is that it only takes a few simple steps. First, be sure to store unused batteries somewhere cool and dark, and avoid dropping them. Once you are using your battery, make sure you are charging it regularly instead of letting it completely drain. As soon as your battery is fully charged, remove it from the charger to avoid drainage. Finally, give it a regular cleaning to keep it in good health. VaporFi has earned an excellent reputation in the vaping industry, and for good reason. Our first-time customers often come back to us time and time again, loving every product from their very first purchase to their hundredth. Our commitment to quality and customer services truly sets us apart. Another benefit of purchasing from VaporFi is our 30-day money back guarantee and product warranties. So if you don’t like it, we will refund you 100 percent. Start shopping today!